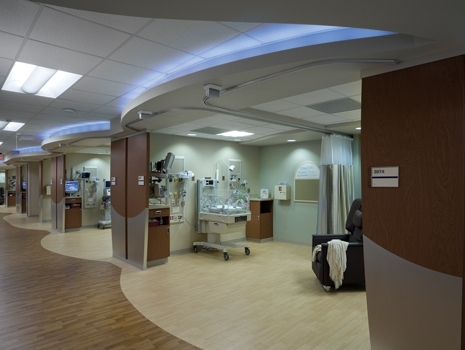 The Neonatal Intensive Care Unit is a 54 bed, Level IV facility that provides services for premature and sick babies born at the Sara Lee Center for Women's Health. The facility and services offered are based on guidelines set forth by the American Academy of Pediatrics and other related agencies. The NICU staff specializes in caring for babies who need very close observation or intensive medical treatment. The physicians directing the care of the babies in the NICU are full time faculty members in the Neonatology Division of Wake Forest University School of Medicine. The professional NICU staff consists of nursing staff members, medical staff members, respiratory therapists, social workers, a pharmacist, and a nutritionist/lactation consultant. Various community resource groups, such as Parents Supporting Parents work closely with NICU. Learn more.